This project has received funding under the AMRUT scheme of the Central Government. 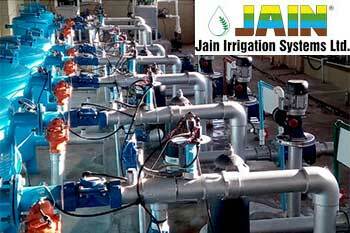 Jain Irrigation Systems has bagged Bhusawal (Maharashtra) Water Supply project of Rs 845 mn (Rs 84.50 Crore) from Bhusawal Municipal Council (Maharashtra) through national competitive bidding. This project has received funding under the AMRUT scheme of the Central Government. The project involves work from source to the customer's premises. The work involved in this project is intake structures, water treatment plant, a 220km pipeline which includes raw water, pure water main pipelines & distribution system, 11 Nos of RCC elevated storage tanks. This scheme will take care of water supply to Bhusawal city (Maharashtra) for the next 30 years. Under the project, water will be delivered from the Tapi River to the people staying in the Bhusawal (Maharashtra) city. The project will be implemented in 24 months. At present Jain Irrigation is executing various projects in water supply sector including 24x7 water supply schemes in India and abroad. Jain Irrigation is also executing various projects in micro irrigations system, piped irrigation projects, Drip with solar pumping projects. “This project is one more milestone in our progress to be a complete player in the entire water infrastructure space. We look forward to many more such opportunities as India invests in much-needed drinking water supply, treatment and distribution infrastructure,” Atul B. Jain, Joint Managing Director, after receiving the order. Jain Irrigation Systems Ltd is currently trading at Rs 100, up by Rs 1.6 or 1.63% from its previous closing of Rs 98.4 on the BSE. The stock is currently trading above its 100 DMA.